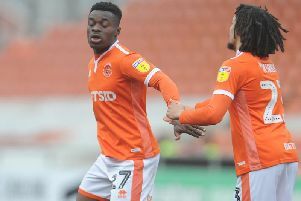 It can be no coincidence that in two of the three home games that have followed the post-Oyston era, the Seasiders have rescued late points in the dying stages. Blackpool’s reunited and rejuvenated fanbase is fast becoming the team’s 12th man and against Plymouth Argyle on Saturday they made the difference. For too long we became accustomed to seeing an empty shell of a ground where matches were played out in front of an eerie silence, aside from the individual shouts and instructions from the players on the pitch. But that’s no longer the case. Whatever happens on the field and whatever the scoreline, those in the terraces are now providing unwavering support. That was reflected in Saturday’s atmosphere, with the 600 or so Plymouth fans who made the long trip from Devon also playing their part. We all kid ourselves that we watch football to see our teams be successful and for them to climb the league table. But in reality that’s not the case. This sport is about much more than that. It’s about those magic moments that will stay with you and be a constant reminder of why you support and love your football club, the delirium you experience when your team scores a goal. Surely it’s those moments Blackpool fans have missed most in their painful four-year boycott. In 2016 I spent a few days in France for England’s failed European Championship campaign, the one that ended with the Three Lions being unceremoniously dumped out by Iceland. Yes, I know, you had all managed to wipe it from memory before I dragged it back up. It was a disastrous tournament, and yet personally I will always look back on it with fond memories for the sheer elation and unbridled joy that greeted Daniel Sturridge’s stoppage-time winner against Wales among the 3,000 or 4,000 in the Lens fanzone. For a few seconds it felt like nothing else mattered in life, it almost feels like an out-of-body experience. I can only imagine that’s what it feels like for a footballer when they score an important goal, as Curtis Tilt managed in the most outrageous manner on Saturday. For 85 minutes, the Seasiders were dire and failed to create a single chance of note. But in the minutes that followed, Bloomfield Road came alive. Of course you want success to go hand-in-hand with those spine-tingling moments of celebration, but it’s not always possible. Only three sides can get promoted from League One, so it’s inevitable that most will be left feeling disappointed. For football fans it’s about escapism and enjoying and making the most of the journey along the way. 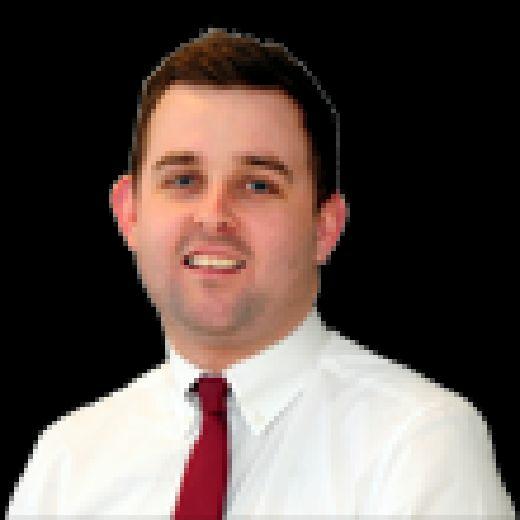 On the pitch, it was another bad day at the office for Blackpool – a worrying trend that, Bradford City aside, doesn’t appear to be dissipating anytime soon. The Seasiders were well off the pace and they could have had no complaints had they been beaten 3-0, such was the lacklustre nature of their performance. In fact, a defeat by a three-goal margin looked very much on the cards when Graham Carey smashed a free-kick towards the far corner of the net, only for Christoffer Mafoumbi to make a miraculous fingertip save to push it onto the post. Had that gone in, at a time when the visitors led 2-0, the game would have been done and dusted. As it turned out, Mafoumbi’s save proved to be a crucial game-changing moment. While it was a day to forget for Pool’s forwards, it was certainly one to remember for their defenders – two in particular that rescued Terry McPhillips’ men. Marc Bola got the ball rolling when he lashed an inconspicuous volley on his weak foot into the bottom corner to reduce the deficit, after Plymouth had deservedly raced into a two-goal lead with strikes in either half. That gave Pool hope and sparked a late fightback, which ended in the most dramatic of circumstances when Tilt launched into an overhead kick which ended with the ball flying into the bottom corner. Bedlam ensued. The players showed grit and determination, as they often do, to earn themselves a late point they didn’t really deserve. Pool were flat, they were laboursome, yet they still managed to claw themselves back into it and claim a point. This isn’t the first time this has happened, either. But the fans deserve huge credit as well, their unwavering support constantly driving the team forward when they were unable to get a foothold in the game. The North Stand in particular provided incessant chanting even when their team was two goals behind. There was a specific period at the start of the second half, when it just wasn’t happening for the Seasiders on the pitch, when the fans continued to sing non-stop. It shows you what a difference the fanbase can make. Unfortunately the players couldn’t repay their faith with a home win, something Blackpool have been in short supply of in 2019. In fact the Seasiders have managed to win just once at home since the start of December. With Doncaster Rovers winning yet again, the play-offs now appear a long shot. Pool have left themselves with too much to do and time is running out. To steal a top six spot McPhillips’ men would have to go on an exceptional run, which seems unlikely given their remaining fixtures. If Pool don’t finish in a play-off place, they’ll just have to settle for being a proper football club again. As consolations go, it’s not a bad one.